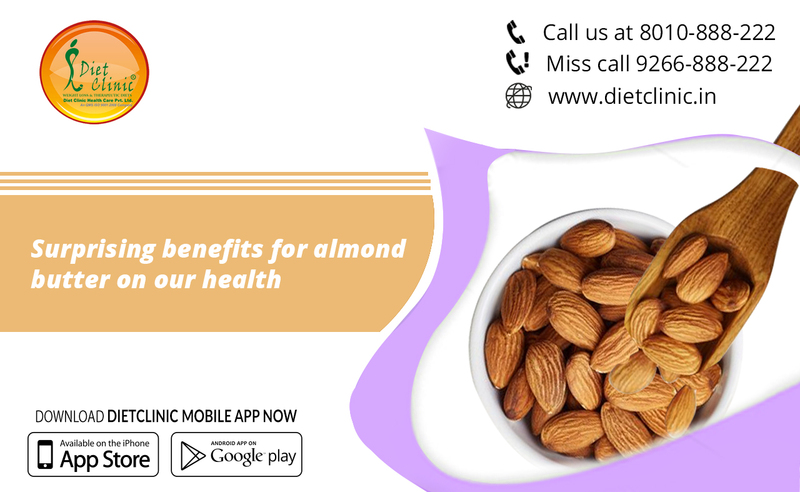 Almond is highly valued for its high content of phytosterols, monounsaturated fatty acids, vegetable proteins, soluble fiber, vitamins, and minerals. It must be a part of the weekly diet chart feels Dietician Sheela Seharawat mentor at Diet Clinic. Several studies associate regular consumption of almond butter in various health benefits such as effective cholesterol-lowering, a decreased risk of cardiovascular disease and Type 2 diabetes, a decreased risk of gallstones and removal of the gallbladder bile, and a decreased risk of colon cancer in women. The amount of almond butter required for these benefits is no more than a serving per week stress nutritionists at Weight Loss Clinic.